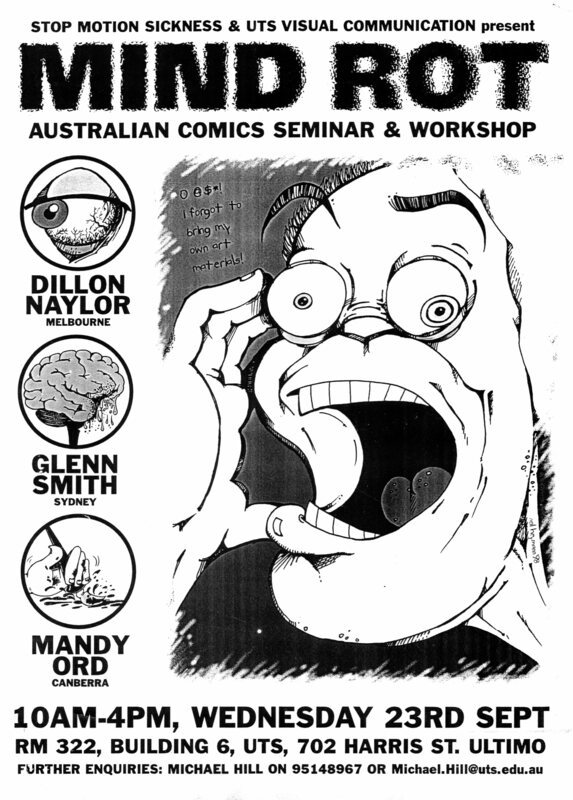 This entry was posted in Archive of Australian Alternative Comics, Art, Comics and tagged comics studies, Dillon Naylor, Gerard Ashworth, Glenn Smith, Mandy Ord, Neil Heymann, visual communication, words and images by Doctor Comics. Bookmark the permalink. Hullo Neil, what are you up to these days?